Bilimungwe is a cool and comfortable camp set beneath magnificent Mahogany trees on the edge of a small plain. The camp consists of 4 reed and thatch chalets with en-suite shower, toilet and double vanities. 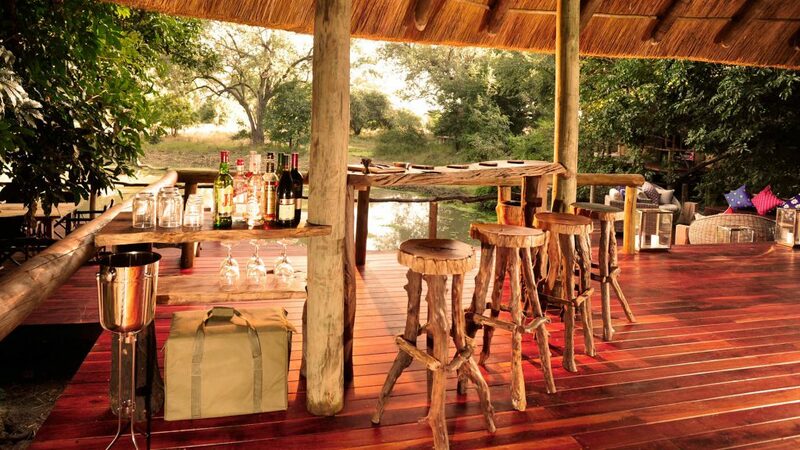 The rustic dining area and fully stocked bar are constructed on raised decking with views of the camps’ permanent water hole and abundant game. 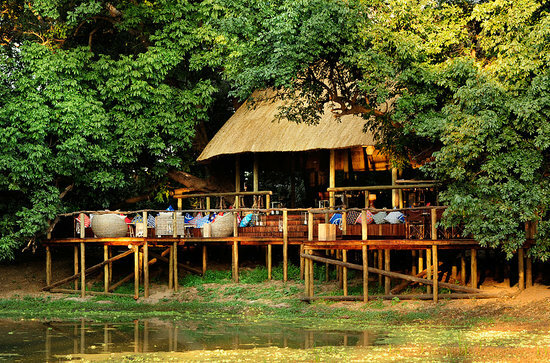 The trails camp is nestled in riverine forest along the picturesque banks of the Luangwa River. 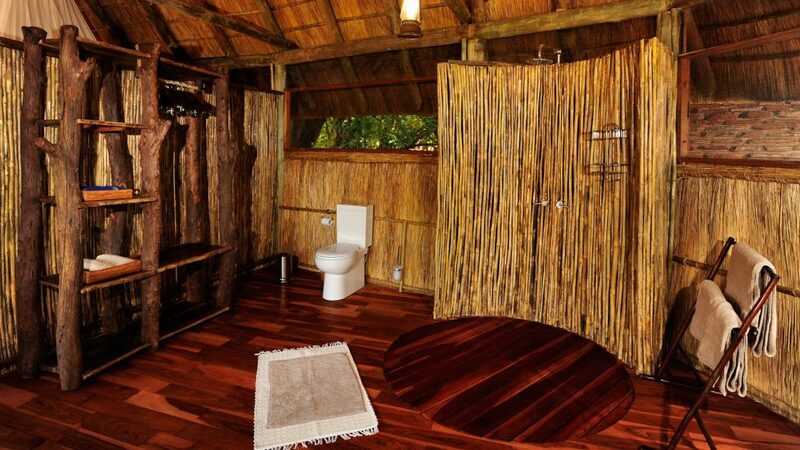 The camp consists of four reed and thatch chalets with en-suite showers, toilet and double vanities. Each chalet has two queen sized double beds with large mosquito nets and an individual rechargeable lighting system. The rustic dining area and fully stocked bar offer panoramic views of the water hole and the abundant resident game that it attracts. The thatched dining canopy provides a cool and comfortable environment in which to enjoy this idyllic setting. The surrounding forest of evergreen shade trees forms a majestic backdrop for those seeking the unique African experience. Bilimungwe Bushcamp is a small, stylish camp run by The Bushcamp Company in the remote southern section of the South Luangwa National Park. Set on a low rise surrounded by wildlife, it was completely rebuilt in 2011, with each chalet overlooking a group of shady waterholes where impala, puku, warthog, elephant and baboons are often seen coming to drink. The central area at Bilimungwe is a thatched, open-sided structure, which is raised on wooden decking between the trunks of tall winterthorn and Natal mahogany trees. There is a comfortable lounge area with cane furniture and African-print cushions, as well as a dining area and well-stocked bar. Down a few steps is another deck with built-in seating, scattered with cushions, creating a quiet area overlooking the waterhole. On a nice evening, meals might also be enjoyed here under the stars. Just a stone’s throw from the main area, overlooking an open plain behind the camp, is the firepit.